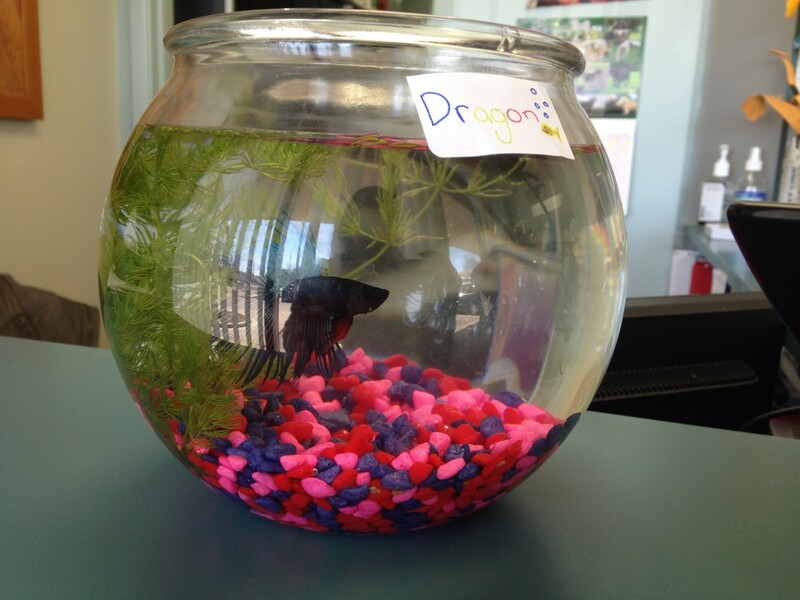 Dragon is our beautiful beta fish. 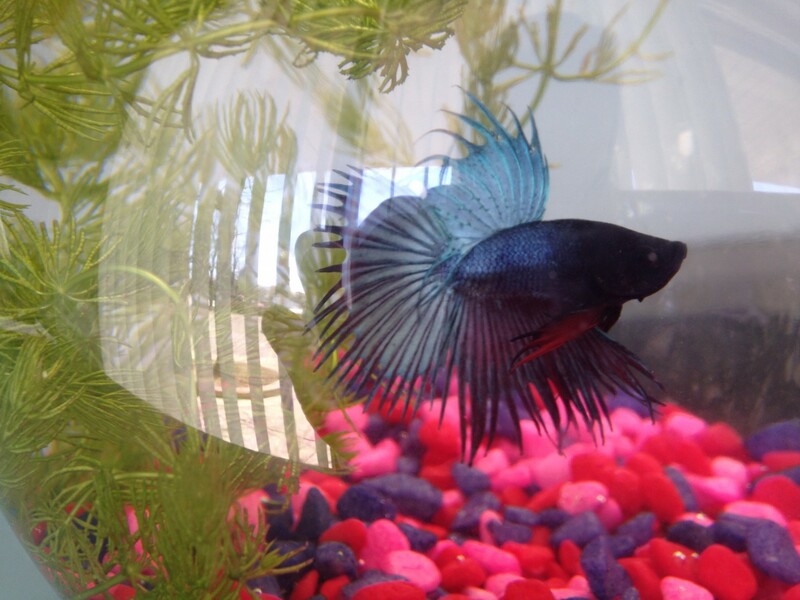 He loves to show off his colours and swim through the plant in his bowl. He is a wonderful, low maintenance pet!